If you’ve been to your neighborhood CVS or Walgreens lately, I’m sure you were bombarded with pink and red hearts as a reminder that Valentine’s Day is on its way. Valentine’s Day has a different meaning for everyone; a made up holiday to spend money, a day to celebrate love, an excuse for single ladies to get together and man bash, a day for single men to be happy that they don’t have to spend any money, the list goes on and on. Personally, whether you’re in a relationship or single, the day can be celebrated without being over the top. As a woman in a committed relationship, I don’t expect to be showered with gifts or sent multiple deliveries of roses. I just expect my mate to acknowledge the day by spending time with me, whether it’s dinner at a restaurant or a home- cooked meal prepared by one of us. For my single ladies there’s no need to stay at home and be lonely, or call up an ex, for the sake of being with someone. Celebrate yourselves and the other lovely ladies in your life. 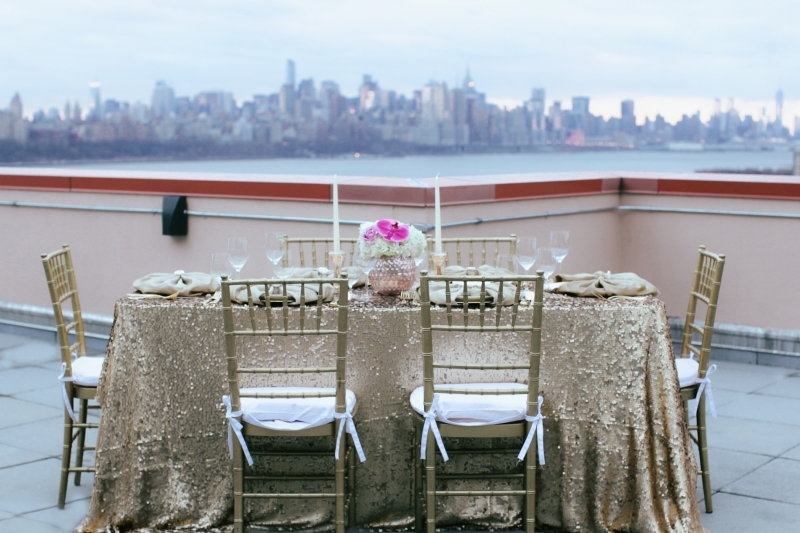 Plan a glamorous dinner at home for you and your besties, complete with a 3-course meal and cocktails! Start out by choosing a theme that is feminine, but fun. 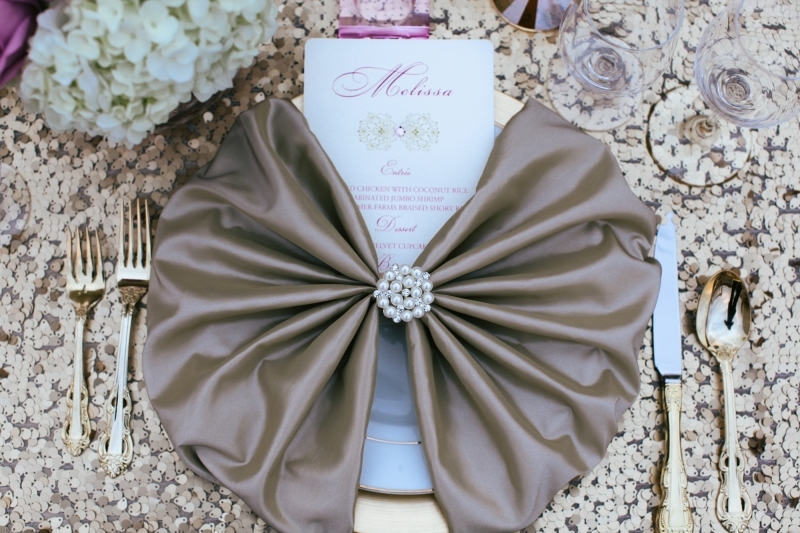 The theme will be utilized in everything from the stationary to the tablescape décor. For a touch of elegance, be sure to include lots of candles in your tablescape. Then decide on menu options, which can be catered, prepared by the host, or done potluck style. Create a signature cocktail that ‘s easy to make and everyone will enjoy. Last, but definitely not least, make sure everyone looks fab from head to toe! Ladies, we all know when we look good, we feel good. 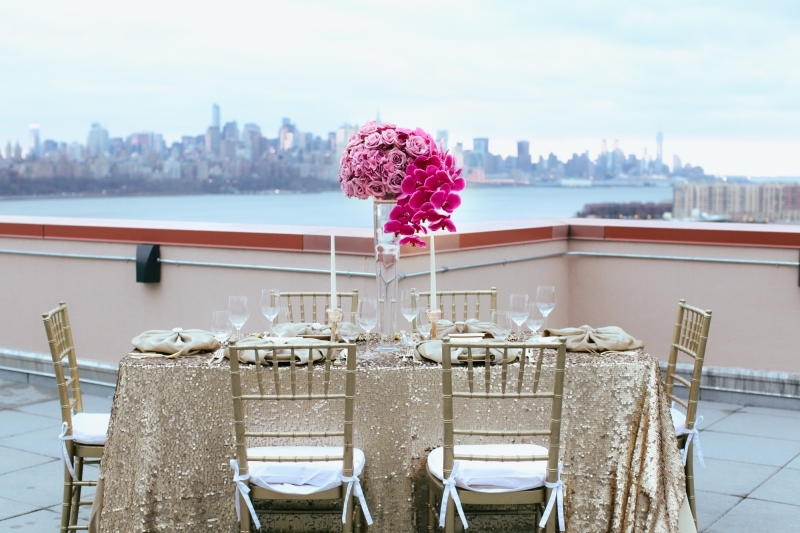 For inspiration on your upcoming Glam Single Ladies Dinner, take a look at the tablescape I designed for my girlies and I on my rooftop.